Horizane Santé : innovating and matching our customers needs in « health and well-being » drive our developments. Horizane Santé laboratory is a parapharmaceutical laboratory created by Dr Thierry Geets at the end of the 90s. Now located in the South of France, Horizane Santé designs, develops and distributes “health and well-being” products. Our company answers the market’s needs with innovative products, at a right quality/price ratio for pharmacie’s customers. Acting as experts, more than 40 people work together with pharmacists to give them the best advice. Horizane Santé key figures show the evolution of our company and how well it fits the market’s and consumer’s needs. Horizane Santé has been at the service of health professionals for more than 20 years through pharmacies and parapharmacies. Its ever increasing evolution is the result of constant professional high standards orientated towards innovation and service. A human-sized company which constant development lays on innovation, customer service and a health and well-being expertise. Horizane Santé is a human-sized company made of specialists and high-level experts. A team of 40 people is constantly keeping an eye on the market and customer’s needs either end consumers or health professionals. Horizane Santé lays on the skills of more than 23 sales representatives who visit the pharmacies everyday thus developing a strong proximity. 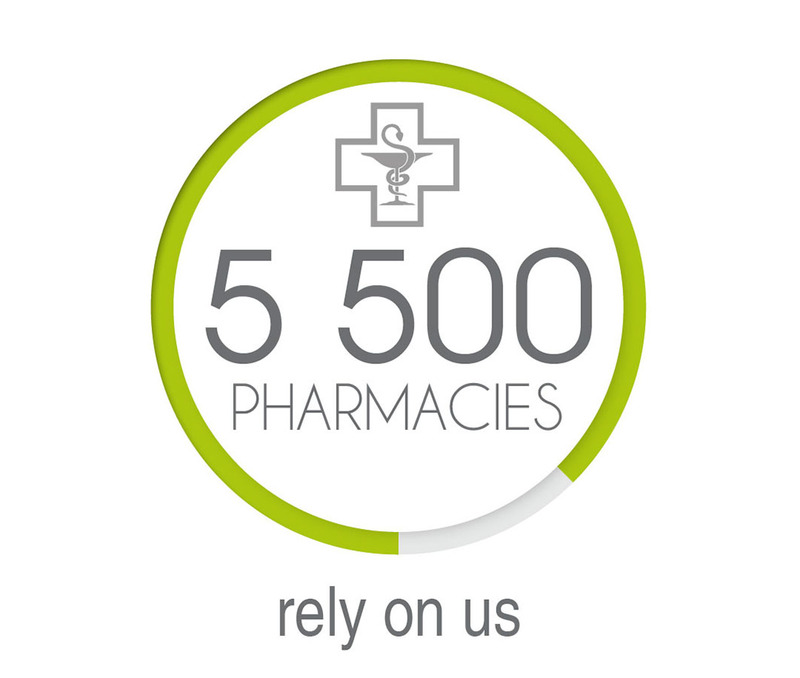 More than 5 500 pharmacies have decided to trust Horizane Santé thus giving shape to a strong and reliable partnership to distribute Horizane Santé references. Horizane Santé’s customers do appreciate our innovative and trendy products that we always offer at the best competitive price ever. They praise our perfect positioning and they stick by our brands. They also state that Horizane Santé’s products are easy to be found. Spreading abroad. Horizane Santé is spreading abroad in pharmacies and parapharmacies thanks to its distributors in Europe, Africa, China and to 4 partners located in the overseas territorial departments. 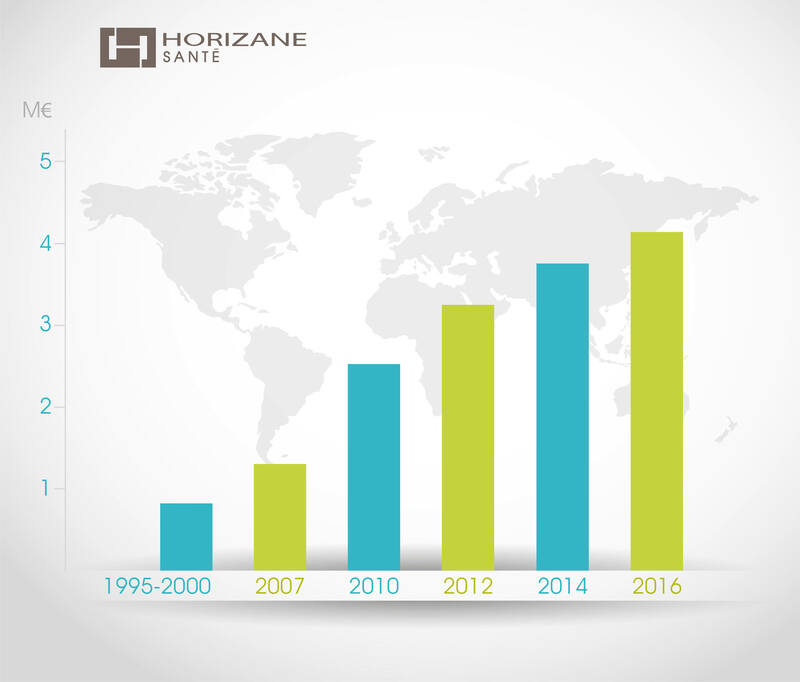 In 2016, Horizane Santé shows a turnover of more than 4 million euros. The turnover has been constantly increasing since the company was created (please refer to the key figure chart). The optic range with « Horizane ». Contactology with « Vitalens », « Hydrolarm », « Magic Eyes ». Perfumes and cosmetics with «Nature & Senteurs» together with the distribution of makeup products from « Levana & Copines ». Dental care with the distribution of «Jordan». Beauty accessories with « Plic ». Kids’ lollipops with « Fruitamines ». Horizane Santé laboratory permanently offers pharmacies more than 1 200 available references. Health and well-being, excellent quality/price ratio are the main stones of Horizane Santé’s DNA, all tending towards the same goal: customer service, which remains the priority of Horizane Santé.